Live Music Every Friday and Saturday evening RAIN OR SHINE! Call for Reservations - 914-962-9300. Our great Barbecue will be back in May. Keep an eye out for the date. Get ready for a great night of classic rock from the 50s through the 90s. 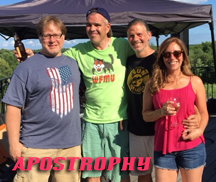 Apostrophe plays music from The Beatles, Rolling Stones, Kinks, Grateful Dead, REM, Pearl Jam, Chuck Berry and many more. For the past 35 years, Head First has been entertaining audiences along the east coast with their unique brand of classic southern rock music. 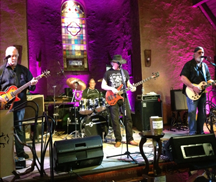 Performing songs by Lynyrd Skynyrd, ZZ Top, the Allman Brothers, Marshall Tucker, Charlie Daniels and more, Head First will entertain you in a southern style all their own. Head First has opened for the Charlie Daniels Band, Trace Adkins, 38 Special, Chicago, Johnny Winter. 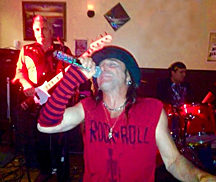 Join John Leonardi and the Band for a great night of classic rock. Click to check out our Sample Menu. Remember to ask about our Daily Specials. Would you like to suggest a band to play at Mohansic? 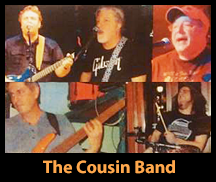 Send us the name of the band and contact information so we can reach a representative. We want the bands that our guests would like to see. Tell us who you'd like to see at Mohansic. Want to see the whole year's calendar of musical events? We've got the full schedule for 2019 (in process) with links so you can visit the musicians' websites. Never miss any of the great things happening at Mohansic. Receive weekly event updates in time to make your reservations.